Sue Toomey has more than 20 years of experience running businesses and championing global causes. As Executive Director for HandsOn Hong Kong, Sue's focus is developing the strategic direction and leading the team to mobilize and empower the community to volunteer. In 2017, she oversaw the development and launch of Serve-a-thon, Hong Kong's first community service marathon where thousands of volunteers gave their time to serve more than 15,000 of Hong Kong's most in need. Prior to joining HandsOn, Sue was Vice President, Global Events for The Economist Group where she created and led award-winning events and initiatives addressing global issues, including ocean sustainability, food security, diversity and inclusion. Her experience includes extensive work with corporate clients, developing communication and sponsorship programs to meet marketing needs. She previously ran her own social enterprise and headed a marketing agency while living in Mumbai and led the event marketing team for Saatchi and Saatchi Los Angeles before moving to Asia. Sue has an M.A. in International Affairs from George Washington University and a B.A. in Journalism from the University of Southern California. Alex has worked in many different fields in the private and education sector since graduating from The Chinese University of Hong Kong, majoring in Psychology. He has over 7 years’ experience in project/program management, corporate marketing and communication, events and development. Before joining HOHK, Alex has worked in the English Schools Foundation managing different programs for campus and student development and organised an overseas volunteering trip with students to Cambodia helping an orphanage to rebuild its campus. Passionate about volunteering and empowering others to do so, he is fully committed in utilising his expertise in multiple fronts to inspire volunteering as a part of routine for everyone. Bia has over three years of experience managing programs in non-profit settings. She has a great passion for making a difference by implementing programs in the community. Before joining HandsOn Hong Kong, she worked at the Children’s Medical Foundation as a program and development officer. She managed over 10 programs concurrently in China, Sichuan, Guizhou, and Yunnan, with a goal of improving local hospitals’ capacity of delivering good medical services to newborns who are in need, and ultimately reducing the neonatal mortality rate in the local area. To attain and secure the funding for these programs, Bia also participated in grant application, grant reporting, and several fundraising events. Bia graduated from Indiana University with a Master of Public Administration, and City University of Hong Kong with a Master of Social Science in Applied Sociology. 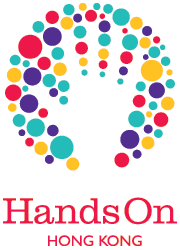 Catherine joined HandsOn Hong Kong in mid 2016, managing all external communications driving volunteer engagement and recruitment for the organization. Catherine oversees the running of 150 community service activities for the public each month, leads the organization's family volunteering effort and has educated and empowered hundreds of Hong Kong employees and students on the city's social needs and the power of volunteering to address them. As Associate Director of HandsOn, Catherine works closely with the Executive Director to achieve the organization's mission to empower all Hong Kong citizens to volunteer. Before joining HandsOn Catherine worked as a communications and events specialist for over 10 years, holding roles at OgilvyOne and The Economist Group. She has a Bachelor of Arts (Honours) from the University of Technology in Sydney. Prior to joining HOHK, Dexter has worked in the field of project managements on different industries including Construction and Design, NGO and Public Administration. His passion to explore brought him an amazing professional journey in different sectors. His past working experience also brings him a mindset with broad perspectives to support the development of HOHK. With the concern on housing issue of Hong Kong, Dexter helped to manage a non-profit housing improvement project in Hong Kong to serve people living in subdivided units. His belief on Volunteer mobilization brings him to HOHK. He graduated from Hong Kong Lingnan University with a Bachelor of Applied Psychology. Ivy has been part of the HOHK team since February 2018 and has a total of three years experience working in Hong Kong’s non-governmental organisation sector. Prior to joining HOHK, Ivy worked at International Social Service as a project assistant serving refugees and asylum seekers. Having graduated with a Bachelor of Social Sciences in Sociology, Ivy has a developed sense of understanding towards social issues and a strong passion for serving the underprivileged in Hong Kong. She is a volunteer mentor for the Child Development Fund supporting two primary students—her belief in empowerment drives her to share her own personal growth experiences to be a positive role model for younger generations. Lisa has over 10 years of experience in Public Relations and Journalism. Before joining HandsOn, she oversaw PR and Corporate Communications strategies for Lan Kwai Fong Group for four years, where she spearheaded a number of CSR campaigns by partnering with different NGOs and corporations. Prior to joining LKF Group, Lisa spent seven years at now-TV as a Senior News Presenter and Producer focusing on both current affairs and finance news. With a strong passion for addressing social needs and helping companies to engage with the local community, Lisa uses her expertise to raise awareness of volunteerism and build a bridge between different sectors. She is a degree holder of a Bachelor of Arts from the University of Hong Kong. With a degree in Event Management, Monique has 4 years of experience in the Event and Exhibition industry. Prior to joining HandsOn Hong Kong, Monique worked for an auction house where she was responsible for planning and managing their bi-annual Hong Kong auction, client events and touring exhibitions across Asia Pacific. With a passion for serving the community and helping others to engage with local NGOs, Monique uses her skills to help design programs which connect companies to the community in support of social needs. Prior to joining HOHK, Sophy has worked in project and program management in training and education sectors. She was responsible for managing programs ranging from seminars and workshops to outings and overseas trips. With a great passion for serving the community and raising public awareness on social needs, Sophy has been a core member of Leo Club of Hong Kong (Host) for 7 years. She initiated a number of local and overseas community service projects, such as designing a sports program for students with intellectual disabilities to train their fundamental movement skills and constructing aqueducts to supply treated water to a children's home in Thailand. Sophy is dedicated to making a difference by engaging more people to volunteer and contribute to the betterment of the society. She graduated from Hong Kong Baptist University with a Bachelor Degree in English Language and Literature, and is currently studying a Master Degree in Psychology at Chinese University of Hong Kong. Rudie is a Chartered Accountant and Certified Public Accountant. He has more than 20 years auditing, financial and risk management experience gained with frims such as Ernst & Young, Arthur Andersen and Audit New Zealand. In his various roles he has reported to Boards and Board Audit Committees on the outcomes of Audits and Internal Audit reviews and matters relating to Risk Management and Corporate Governance. His client base extended to entitles in the private, public and not for profit (NGO) sectors. Working in the private, public and NGO sectors has allowed him to develop the skills necessary to work constructively and communicate effectively with a wide range of people with varying degrees of financial sophistication. Since arriving in Hong Kong in 2014 Rudie has been involved in financial advisory roles at Crossroads Foundation and HandsOn Hong Kong.